Zestar Large, crunchy, juicy red fruit with a sprightly sweet-tart flavor. Excellent for both fresh eating and cooking. The fruit will store for 6 to 8 weeks. Ripens late August to early September. Sweet Sixteen Crisp and juicy with an exotic yellow flesh and a very sweet, unusual sugar cane or spicy cherry candy flavor. The fruit stores for 5 to 8 weeks. Ripens mid- to late September. Honeycrisp Large, dappled red fruit with a well-balanced flavor, outstanding crispness and juiciness. Best for fresh eating and salads as the flesh is slow to brown. Tree has low to medium vigor and excellent scab resistance. Fruit will easily store 7 or more months. Ripens late September. Honeygold Golden to yellow-green fruit that is sweet, crisp, and juicy. Excellent for fresh eating and also good for cooking. The fruit will store for 2 to 3 months. Ripens late September. Haralson Firm texture with a complex tart flavor. Good for fresh eating and cooking. Especially good pie apple. The fruit will store for 4 to 5 months. Tree is of low vigor and easily trained. Ripens late September to early October. Fireside/Connell Red Very large fruit with sweet flavor and fine-grained flesh good for fresh eating, salad, and baked apples. Ripens mid-October. Cortland Cortland apples are excellent for eating, salads, sauce, pies and baking. With their snow-white flesh, Cortland apples are wonderful for kabobs, fruit plates and garnishes because they don't turn brown quickly when cut. Gala The Gala apple blends modern and old-fashioned parentage. The fruit is firm, juicy, fine textured, with a yellow white flesh. The Gala is sweet, with a slightly tart flavor. It is aromatic with a very sweet flavor and it has a crisp and firm texture. Shelf life up to 6 months in regular storage. The Gala ripens early to mid-September. Paula Red Apple A variety of apple that has bright red outer skin with yellow to tan spots. This apple has a cream-colored crisp-textured juicy flesh that provides a slightly tart flavor. It is an excellent apple for baking, cooking or for eating as a snack. Ripens in late August. 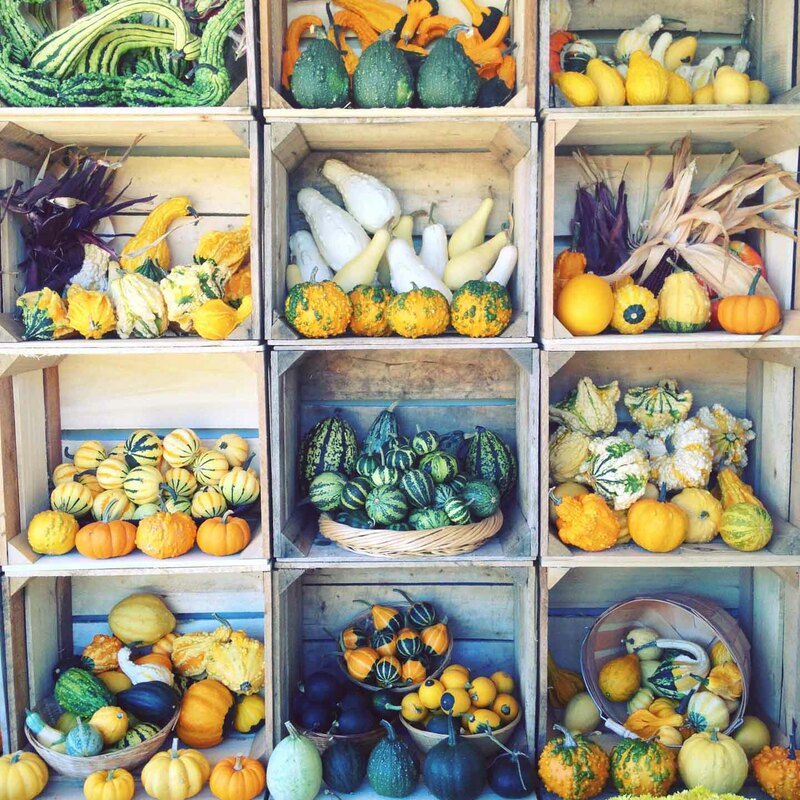 Here at Nature’s Select Orchard, we grow a variety of produce to cover all your autumn decorating needs. This includes a very festive and multi-colored Indian corn. We also grow a wide selection of decorative gourds. These are brightly colored in a wide array of unique shapes and sizes. Our Pumpkin patch holds the widest selection of pumpkins in the local area. From the very small baseball sized pumpkins up to the very large 75 pound decorative type, we’ve got it covered. Our home grown gourmet popcorn will surprise you with its flavorful texture. We also have a wide selection of winter squash. These are not only great decorations but they will also keep well for your Thanksgiving and Christmas dinners. Beginning in mid to late summer, we kick off our season with scrumptious sweet corn. We take special care to make sure we isolate the sweet corn from all other types of corn to prevent cross pollination. By doing this, we assure a super sweet and tender delight. In addition, we produce hybrid and heirloom tomatoes to assure the richest and most robust flavor possible. These will be vine ripened to assure the best possible flavor. These will be available as the season allows. Don’t forget about the green peppers, cucumbers and home grown potatoes. 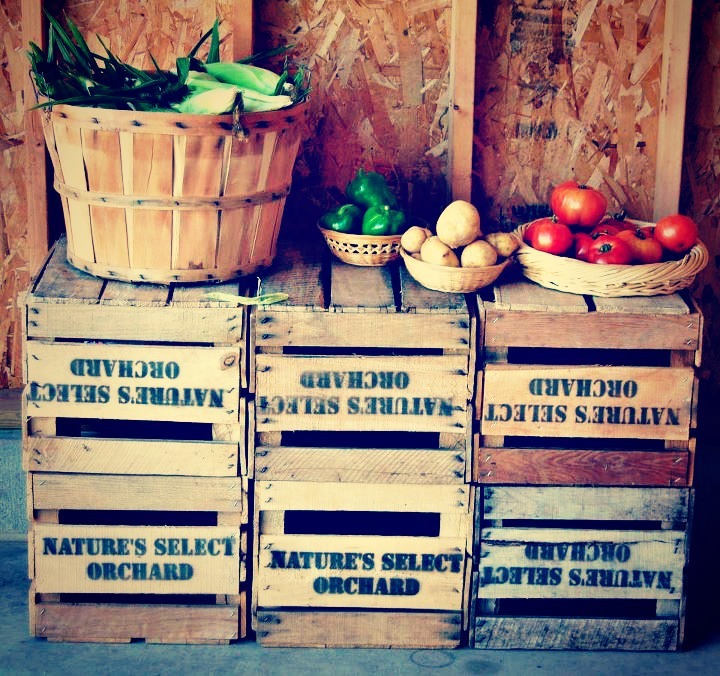 You’ll notice a huge improvement in the flavor of our home grown produce over the supermarket produce.